Dolomite is a magnesia-rich sedimentary rock resembling limestone. For dolomite processing, SBM will provide you with best dolomite crushers and dolomite mills. Dolomite mining is important in heavy industry. To process dolomite, firstly dolomite is burnt, hardened and then made into small pellets and heated again. 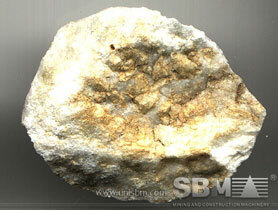 These pellets of dolomite are then used in the manufacture of blocks of dolomite refractory. SBM dolomite mining equipments include dolomite crushing plant, dolomite grinding machine, dolomite vibrating feeder and dolomite vibrating screen. SBM has the people, technology, expertise, and product support services to help you maximize the efficiency of your grinding circuit. SBM has built the dolomite processing plant in Australia, USA, Mexico, Ghana, Malaysia, Pakistan, and Nigeria. The dolomite processing plant is used for making dolomite into powder for glass plant. "SBM supplies the right dolomite crushing equipment and grinding mills including whole solution to every method and application. "